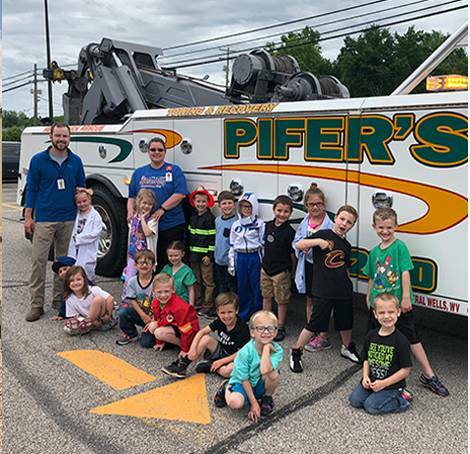 Pifer’s Service Center Towing & Recovery, owned by Michael & Joseph Pifer, takes great pride in offering great customer service, modern and damage-free towing equipment and dependable service. You are stranded by the side of the road on Interstate 77 because your car stalled, and will not start. You do not know what to do or who to call. One of your calls should be to Pifer’s Service Center Towing & Recovery of Mineral Wells, WV. 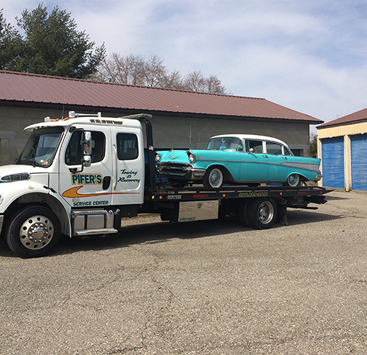 We have been towing cars and providing other roadside services in Parkersburg, WV, and the surrounding region since the business was started in 1972. If you need us for roadside service, including light towing, medium towing, and heavy towing, we will be there. 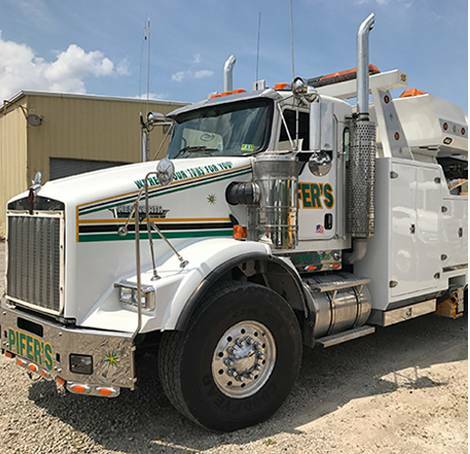 We offer 24-hour, seven-day a week emergency services in Wood, Jackson, Tyler, Calhoun, Pleasants, Ritchie, Wirt, Doddridge, Wetzel, and Marshall counties in West Virginia and Athens and Washington County, OH. So, give us a call at (304) 489-2010 when you need us. 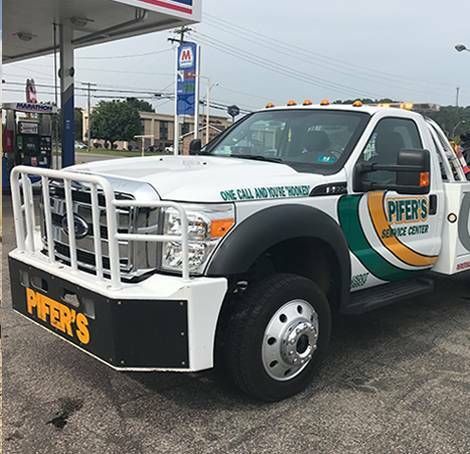 Pifer’s Service Center Towing & Recovery was started by Walter Pifer and his two sons, Lawrence and Michael Pifer. 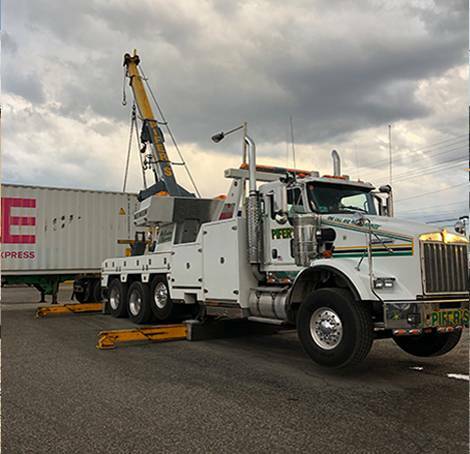 Now owned by Michael and his son, Joseph Pifer, we take great pride in offering great customer service, modern and damage-free towing equipment and dependable service. 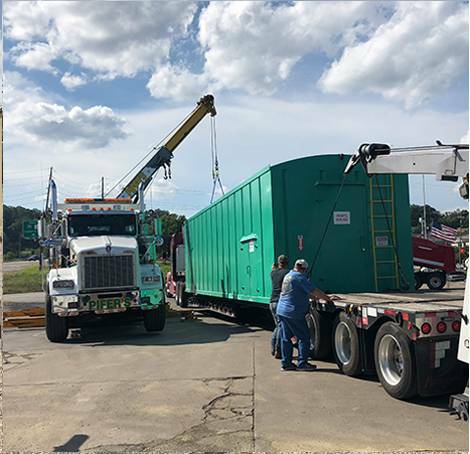 We have served the Mid-Ohio Valley for three generations with dependable service and hope to continue serving our customers for generations to come. We are known for being prompt and reliable in our roadside service. We also provide full car repair as well as light-duty pickup truck repair, oil changes, and more. 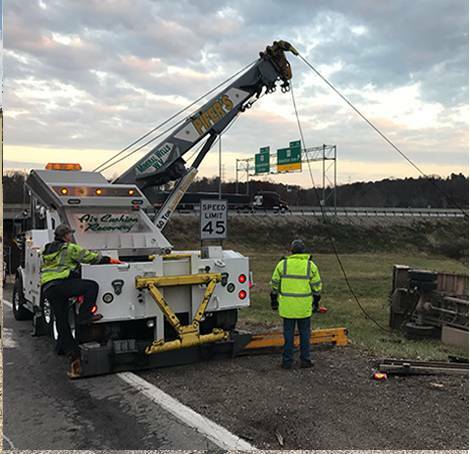 There is a vast array of problems you can encounter as a driver in West Virginia and Ohio, but you can count on us to handle your roadside issue. When you are faced with a stalled vehicle, flat tire, or some other roadside emergency, call Pifer’s Service Center Towing & Recovery. We are equipped to handle your light towing, medium towing, or heavy towing needs without causing any more damage. Our professionals have been trained to deal with a number of problems, and they have the right tools to attend to your vehicle emergency. As soon as you make the call to us, we will dispatch one of our trucks to your location, and will update you on the truck’s time of arrival. 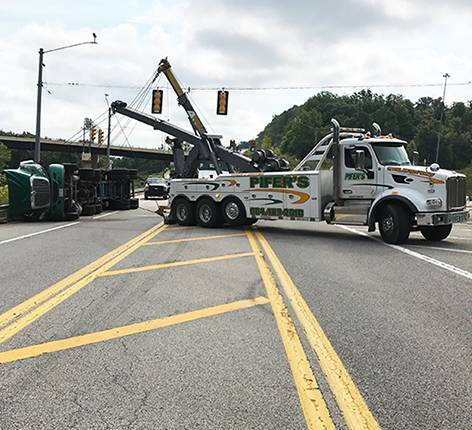 Pifer’s Service Center Towing & Recovery’s goal is to help drivers and other customers facing roadside problems, and increase and maintain our customer base by providing superior customer service. We want to exceed customer expectations and anticipate the ever-changing demands of our industry through a staff of dedicated people. Contact us right away when you need our services!